Summer meals support is under way! 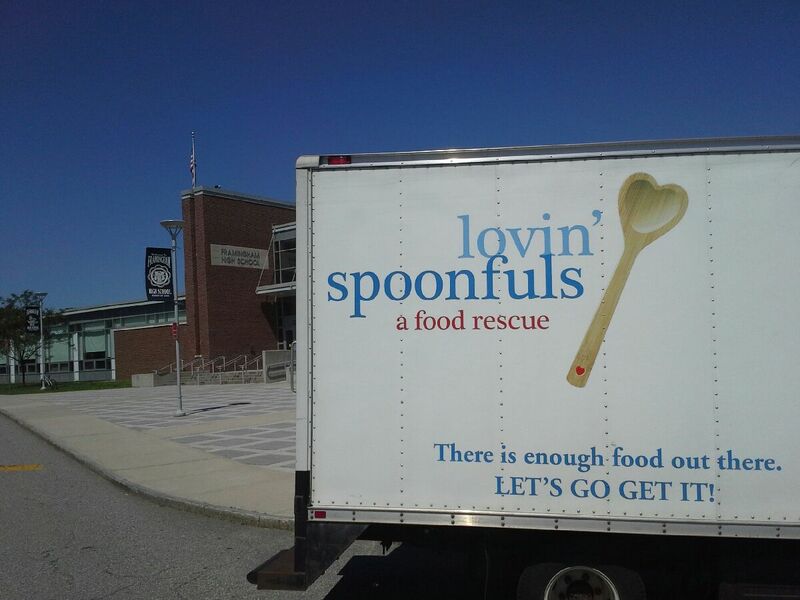 Lovin’ Spoonfuls is working with partners Stop & Shop and Whole Foods Market to source fresh fruits and vegetables this summer to provide to the summer meals programs in Framingham, Waltham, and Somerville. Summer meals programs are an essential summertime replacement for students who lose access to healthy meals when school is out. Inadequate nutrition during the summer can set kids back when they return to school in the fall. Each district we work with is feeding hundreds of kids per day at various sites throughout their cities, trying to reach as many as possible. Because summer meals is a federally funded program, the budgets are slim, and they need to stretch their buying power as much as possible. 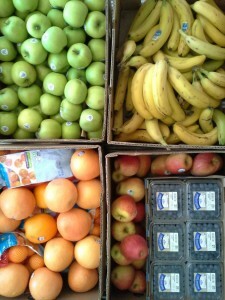 We can provide fresh fruits, vegetables, dairy, and breads for the districts to use in the meals. Each Monday for 9 weeks, we will be making collections from Stop & Shop locations and delivering the product to the meal production facilities in each district. The food services managers at each location can choose from what we have collected to supplement their meals – a recent collection yielded fruit for snacking: apples, bananas, clementines, and vegetables for salads or cooking: peppers, summer squash, lettuce. 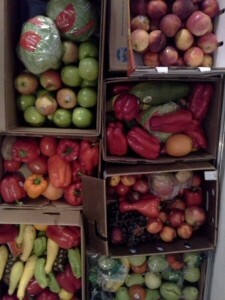 All of this product might have been wasted, but it’s healthy, fresh food that can be put to great use feeding kids throughout the area this summer! Project Bread is working with summer meals programs across the region and granted funds to Lovin’ Spoonfuls to operate this program.